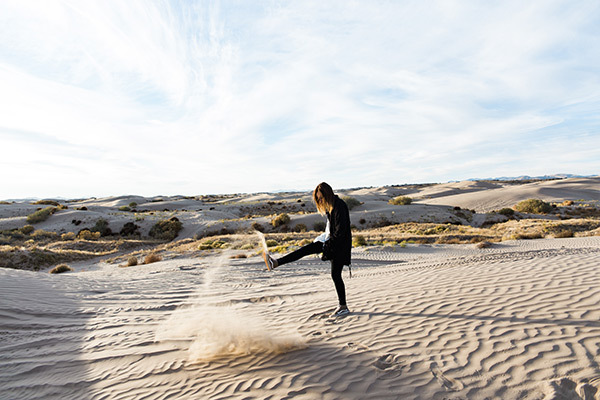 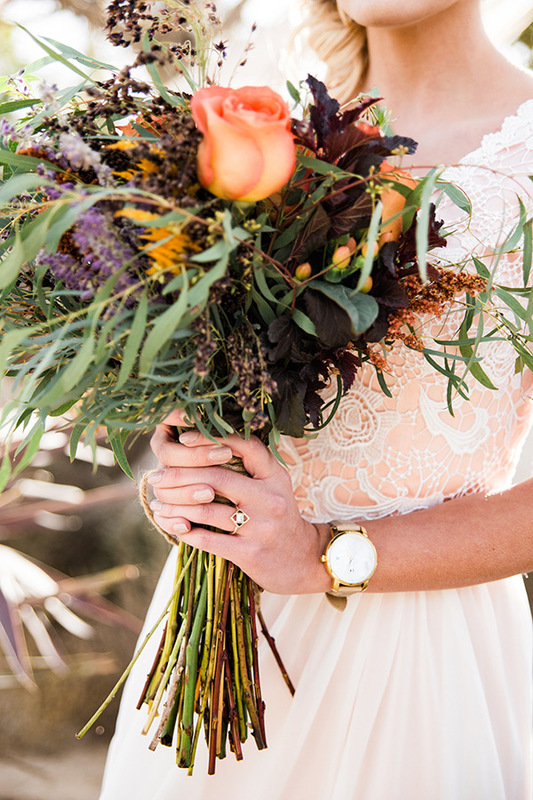 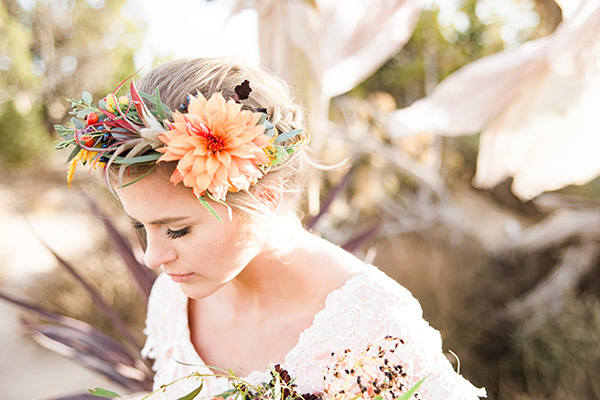 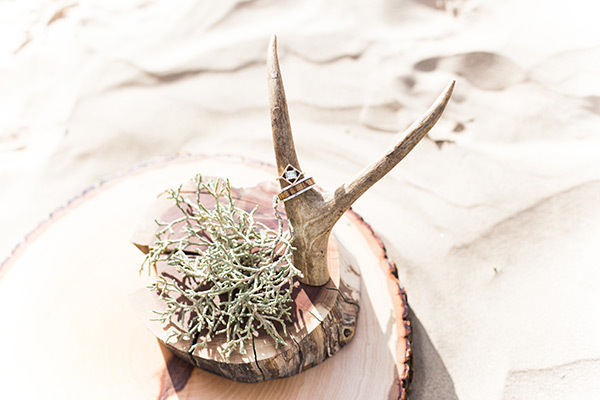 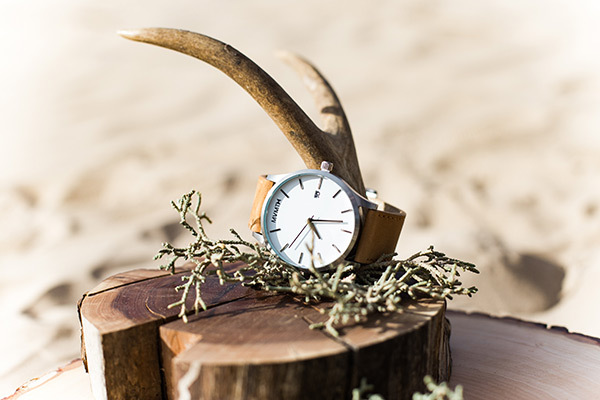 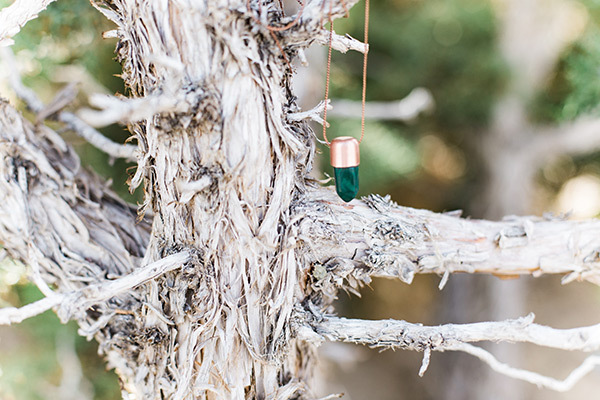 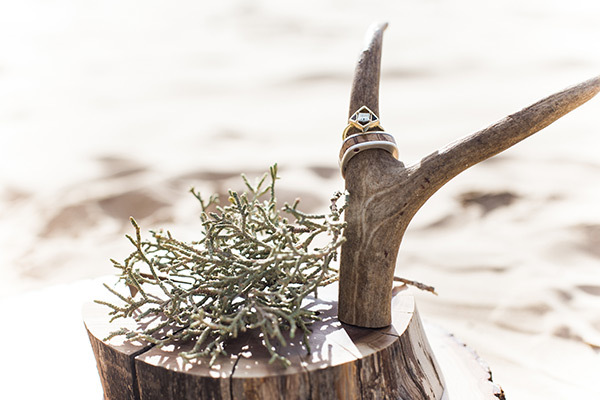 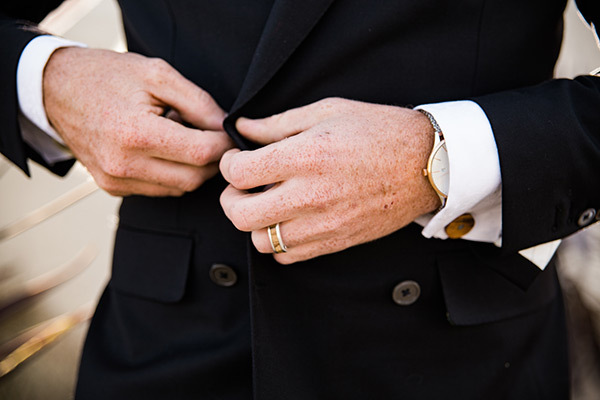 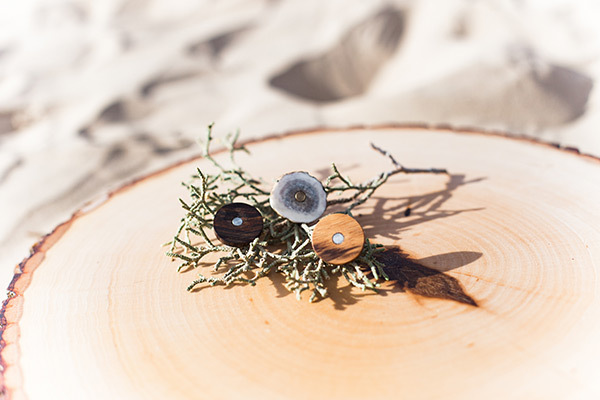 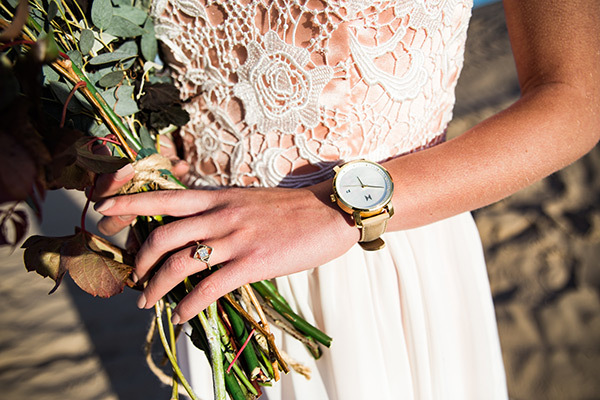 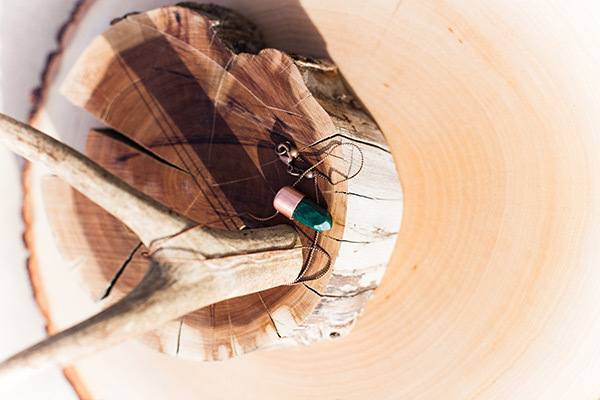 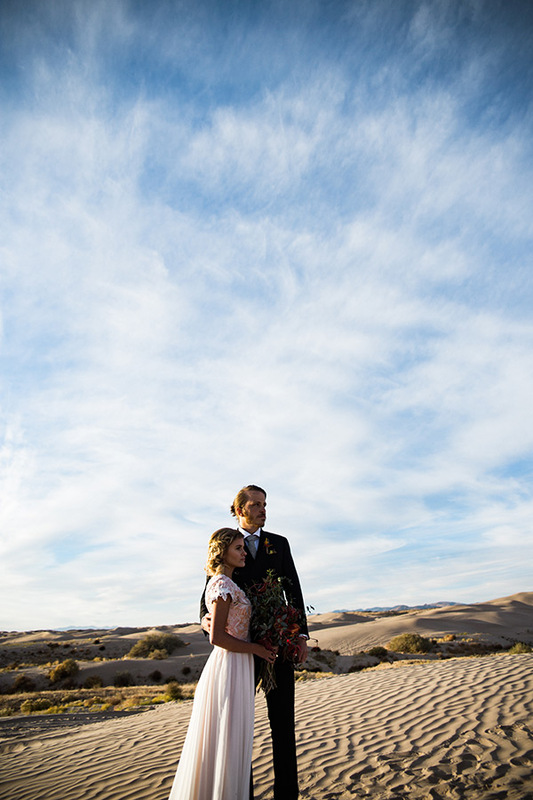 Today’s feature is straight up dreamy. 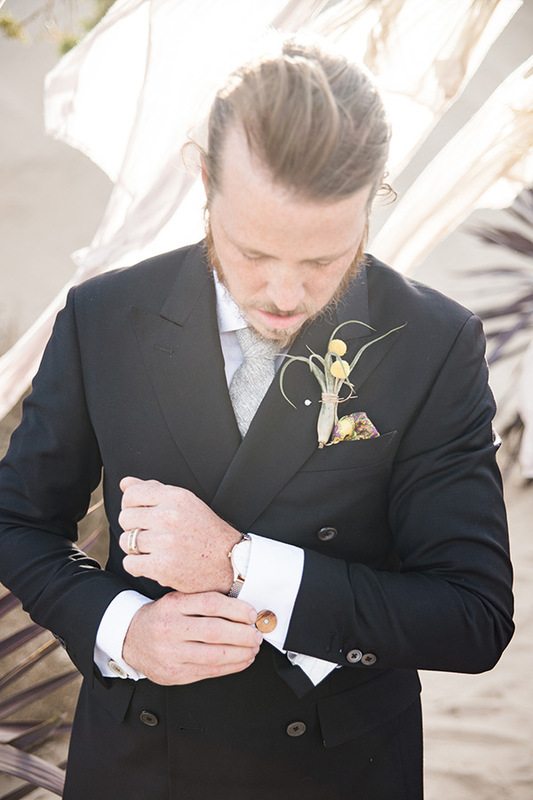 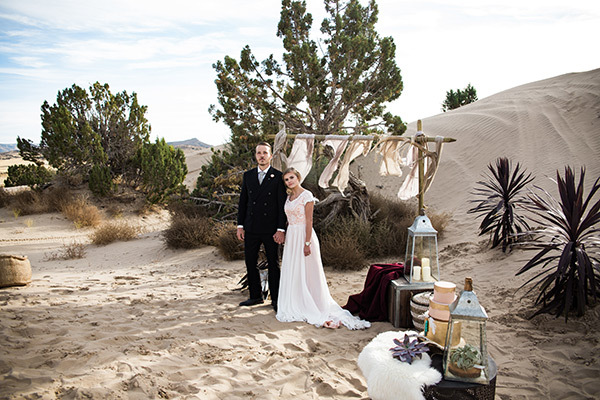 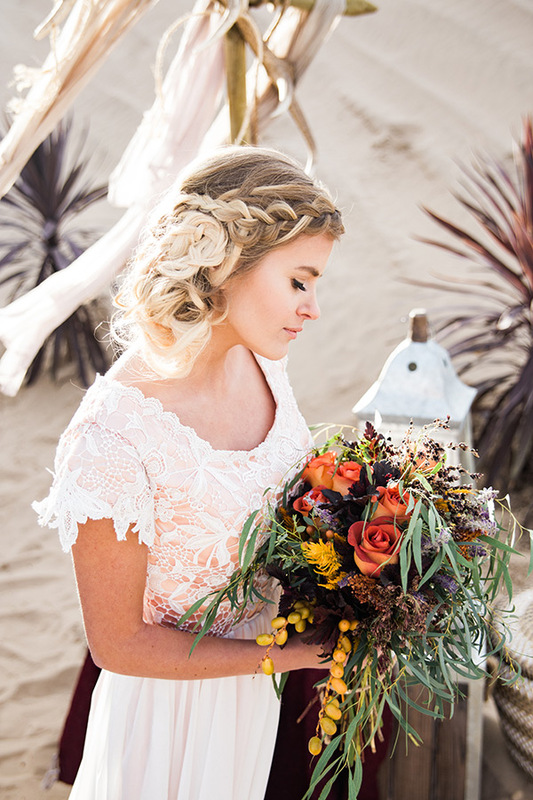 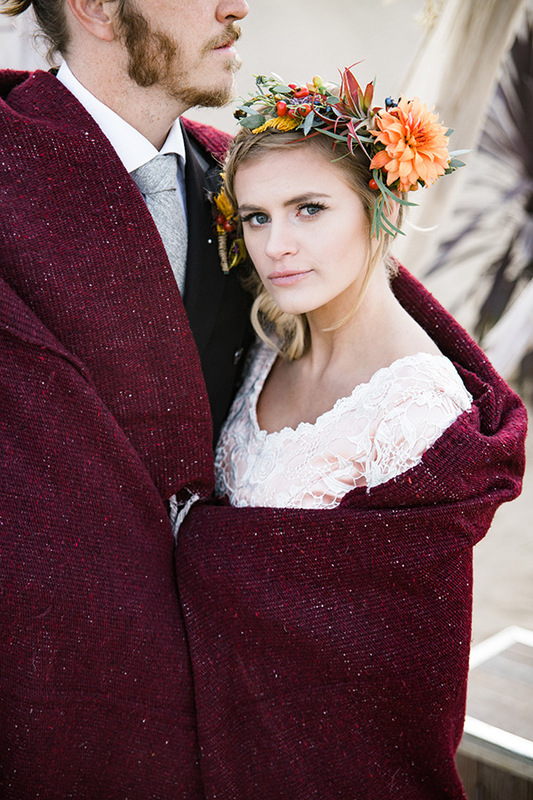 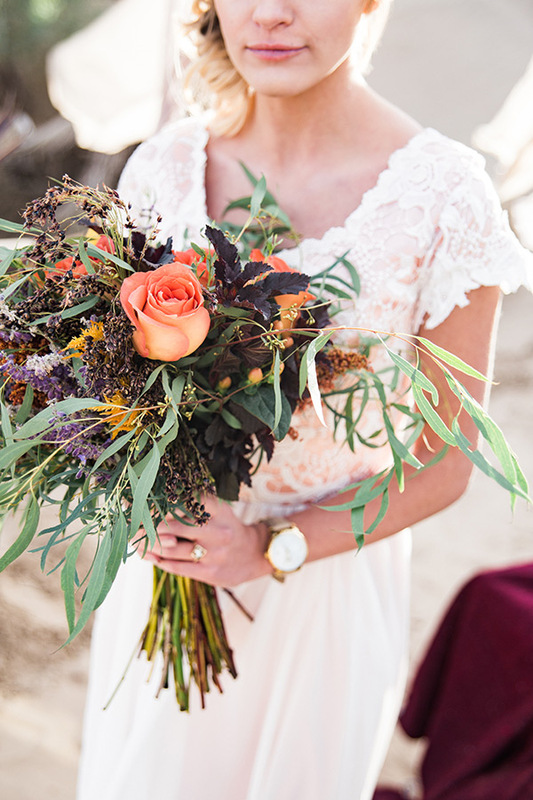 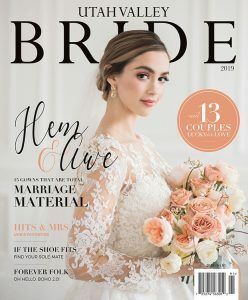 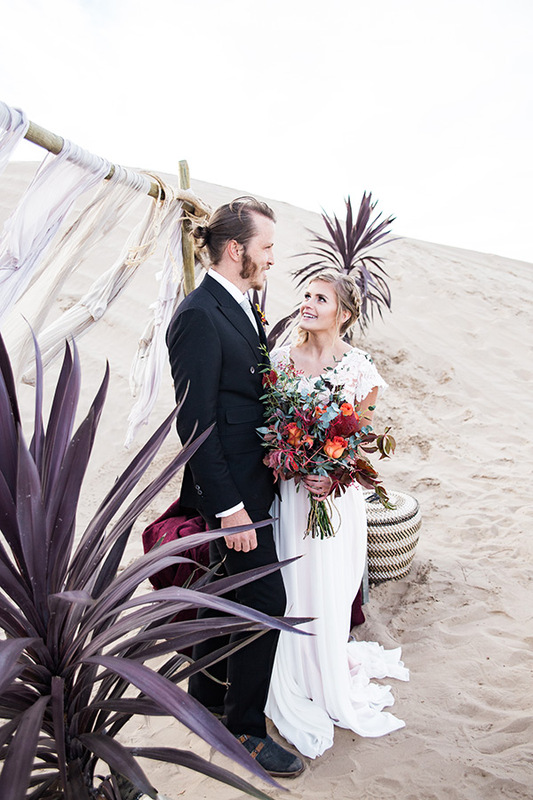 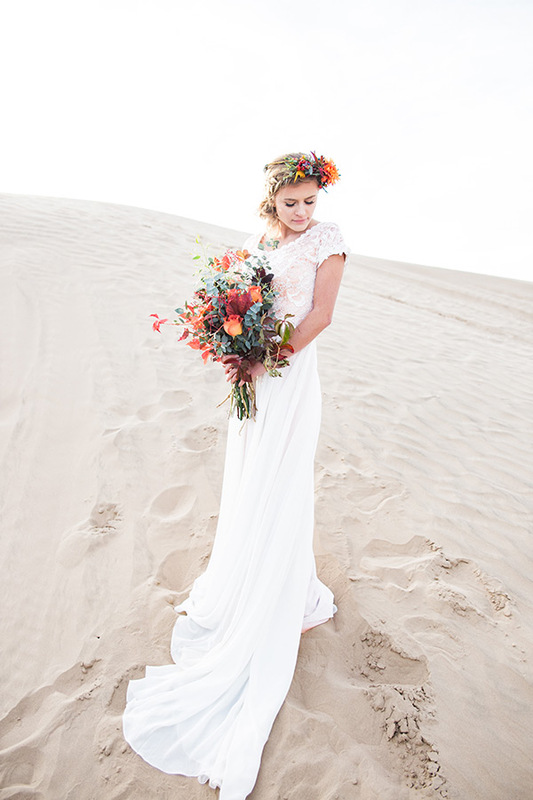 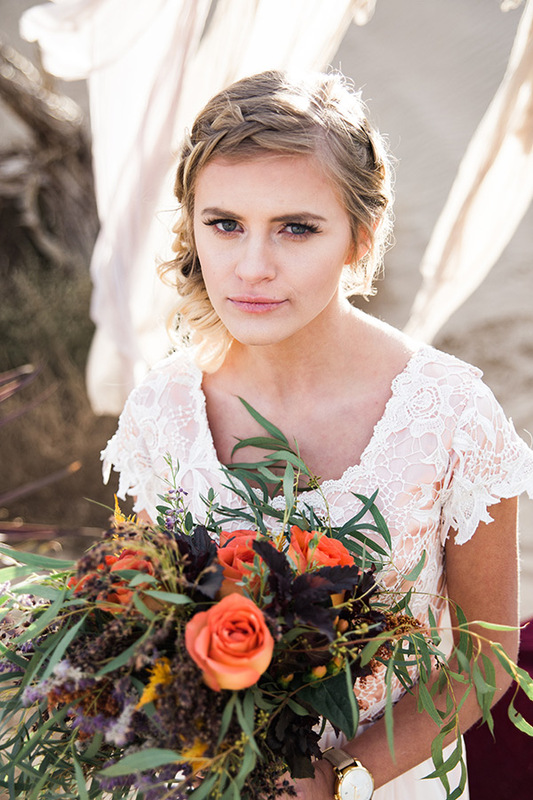 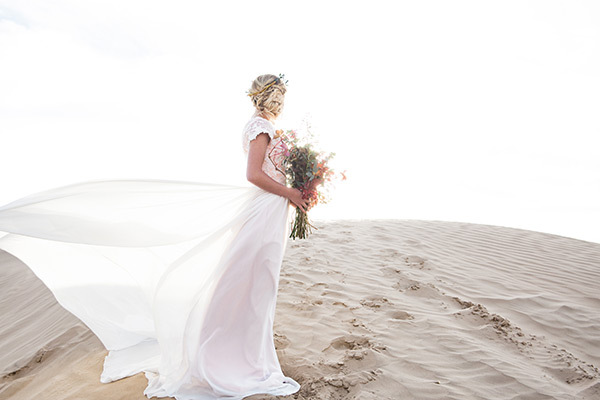 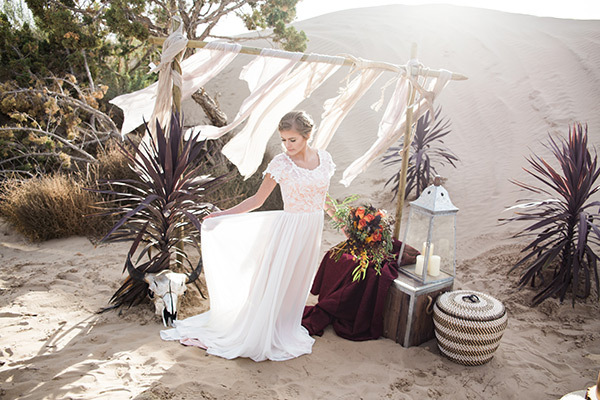 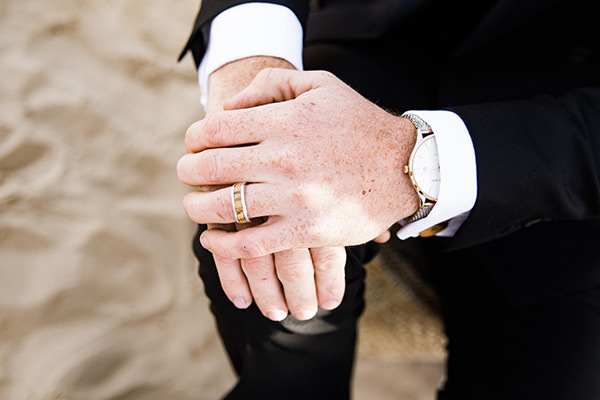 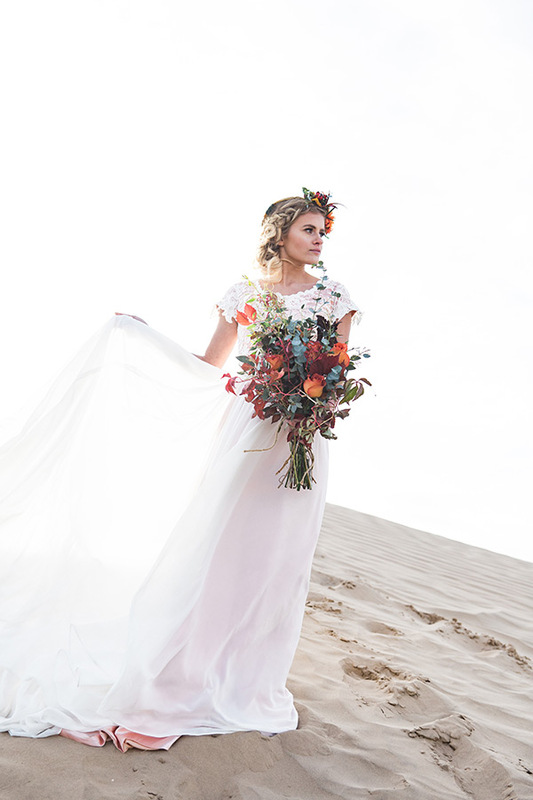 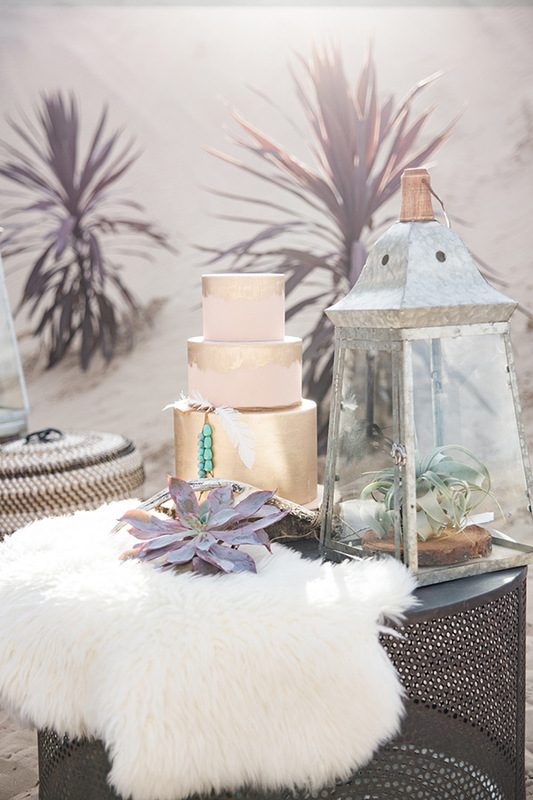 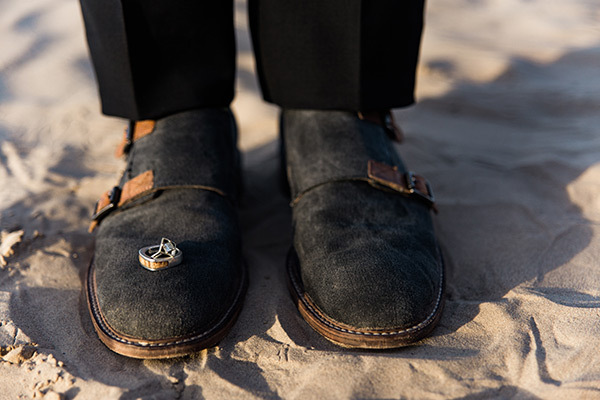 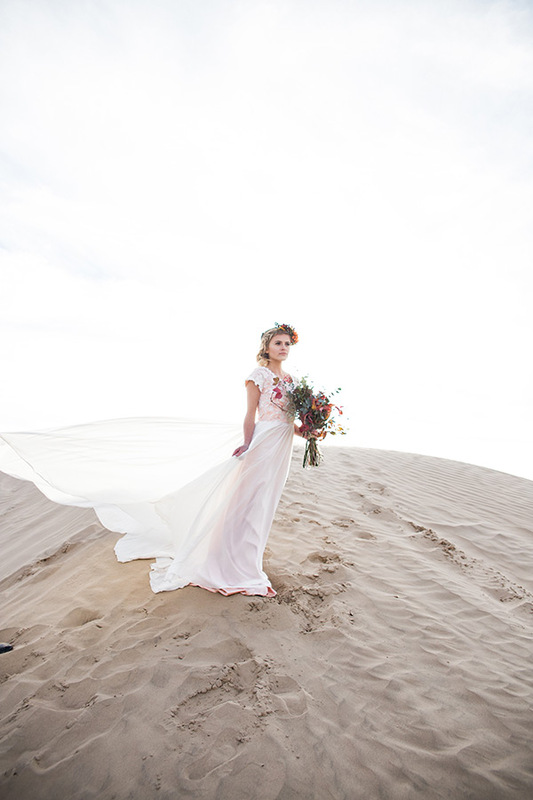 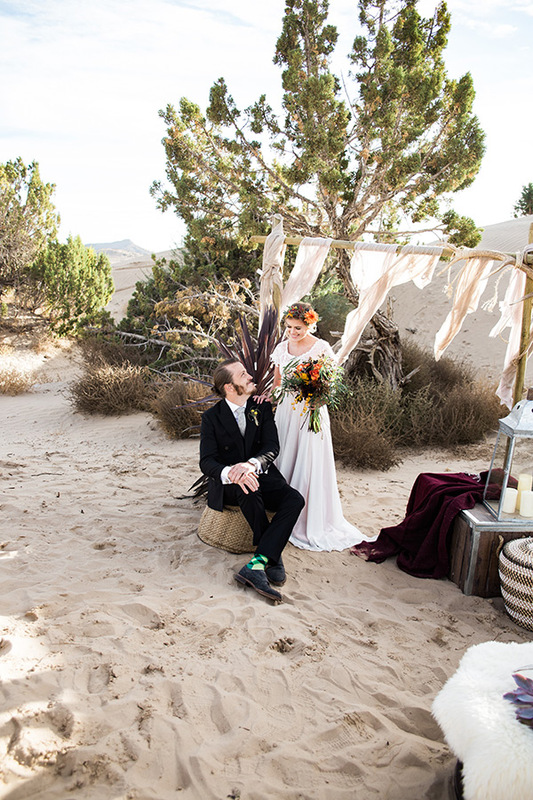 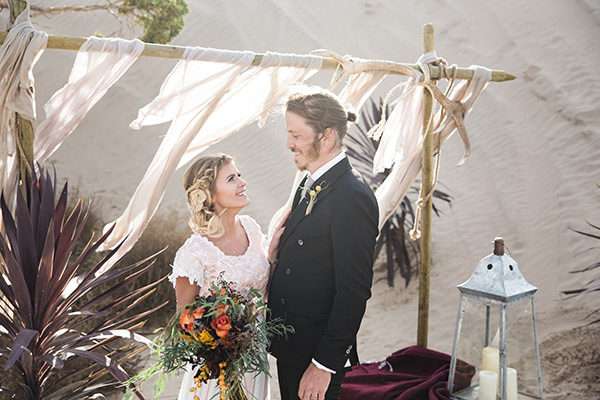 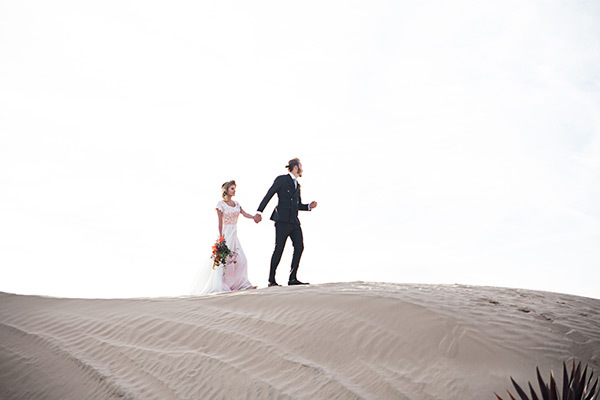 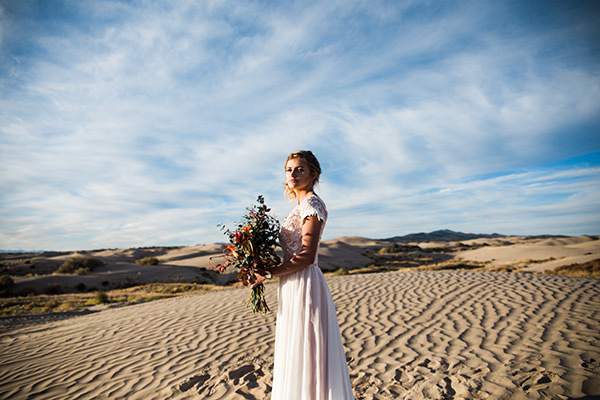 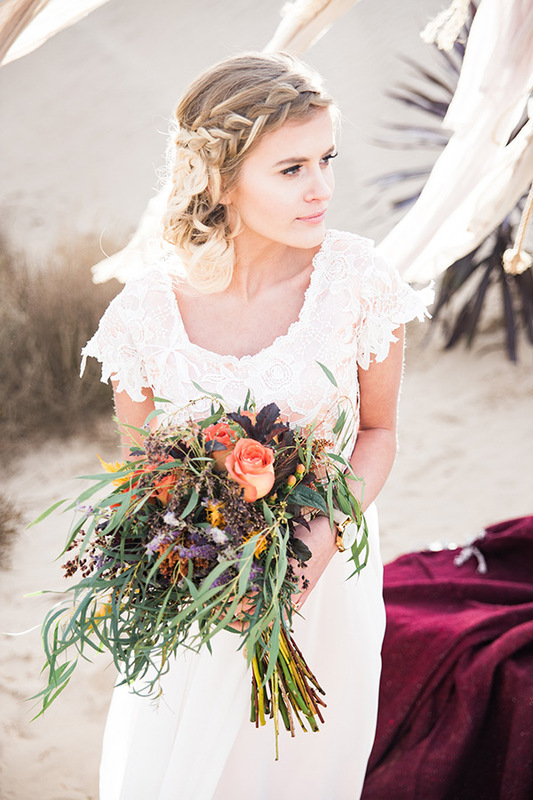 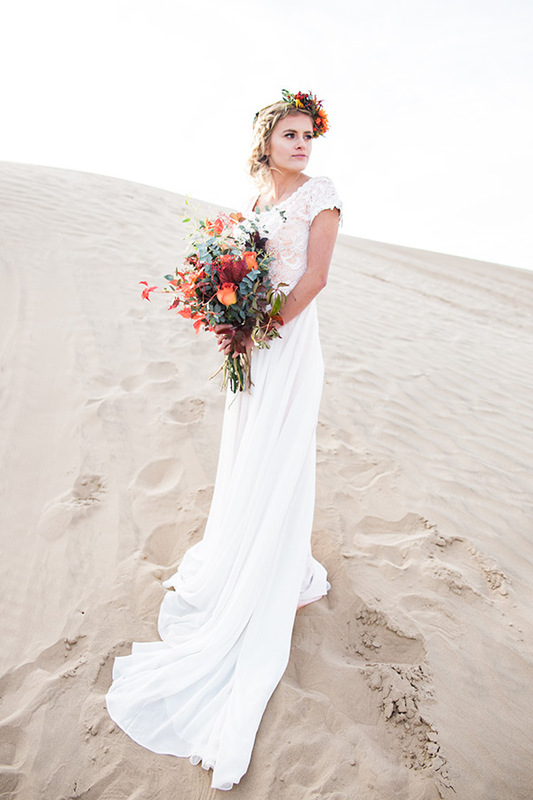 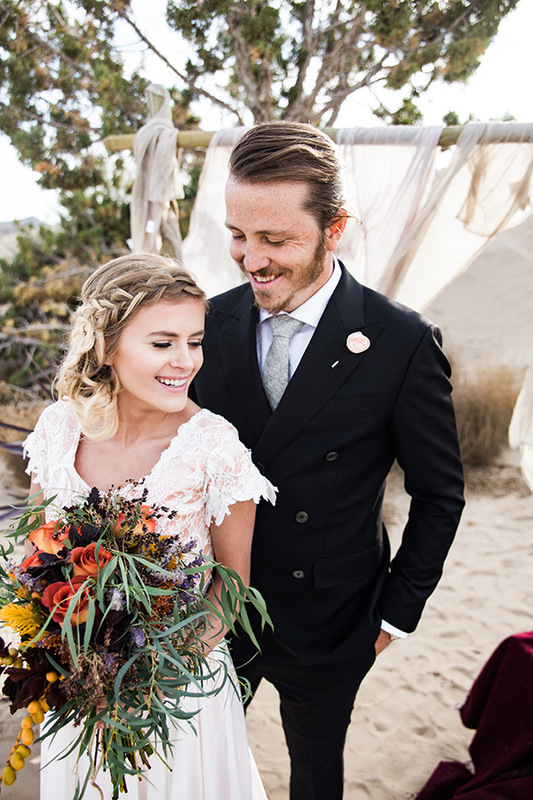 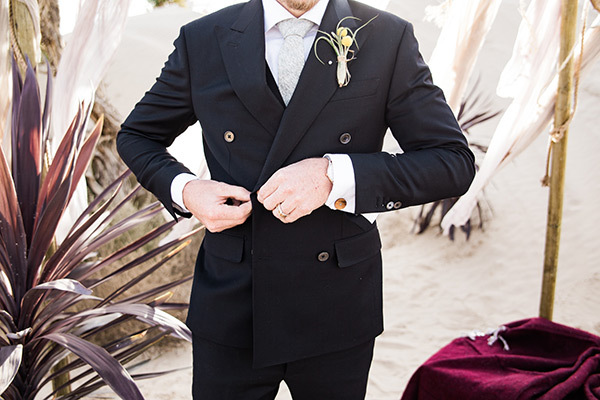 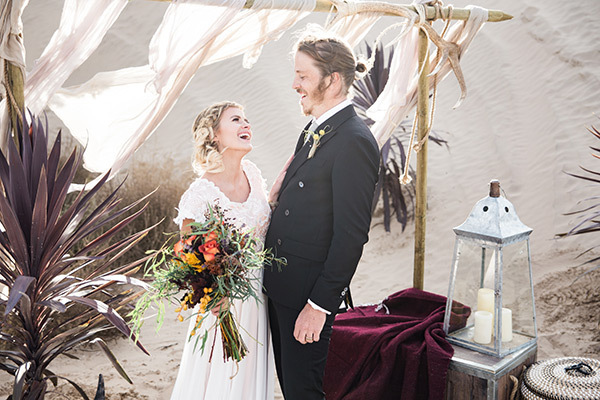 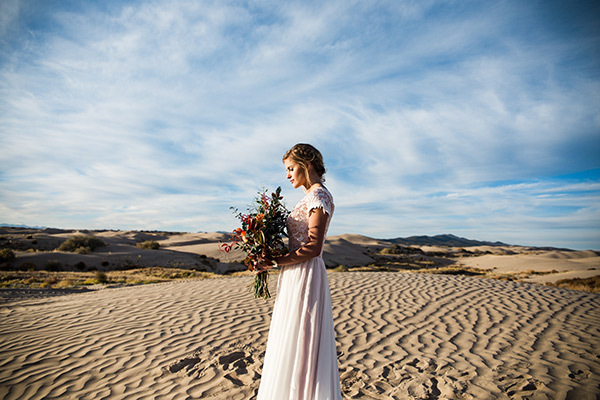 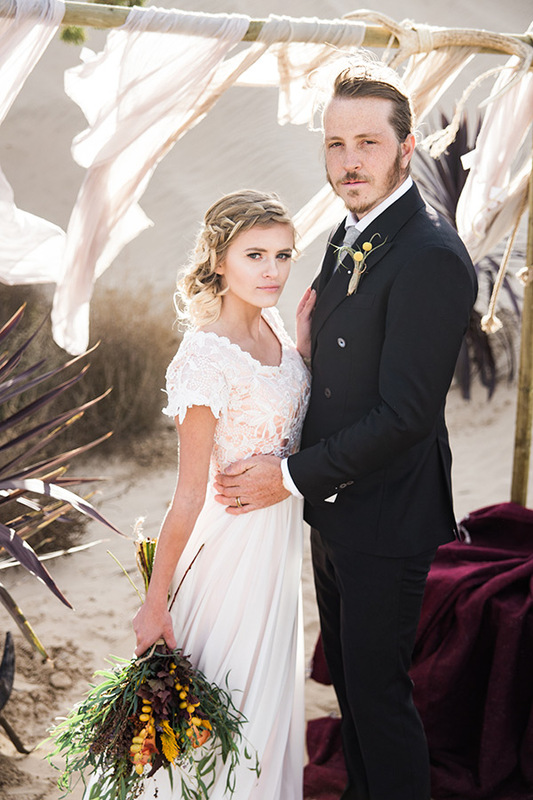 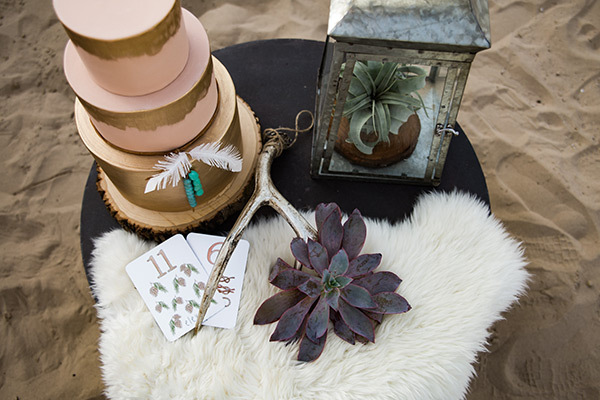 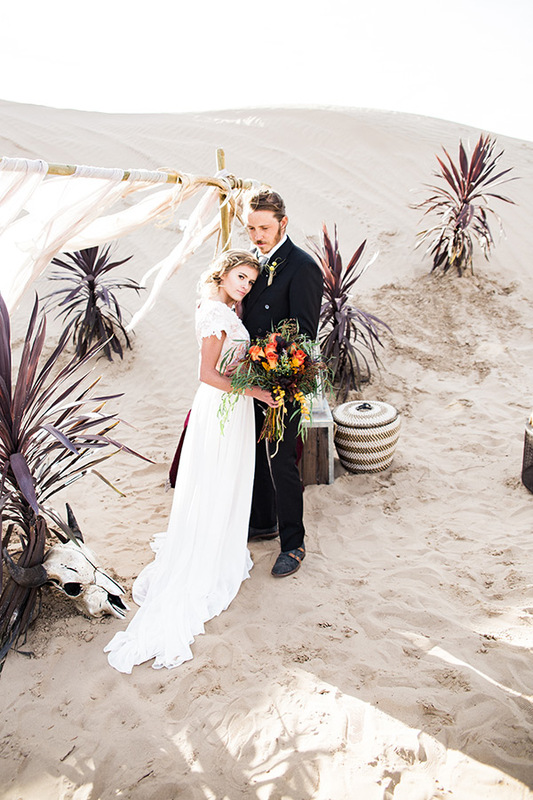 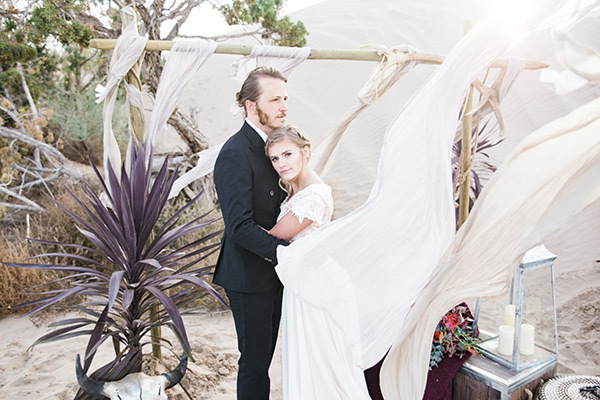 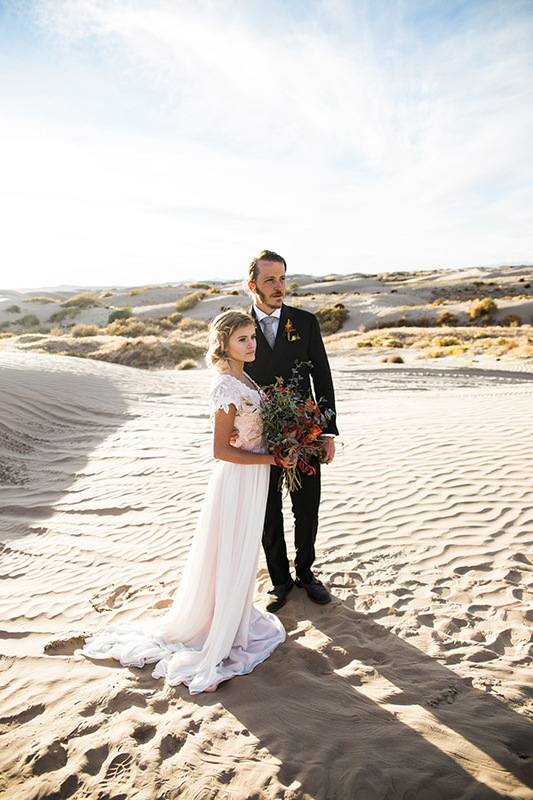 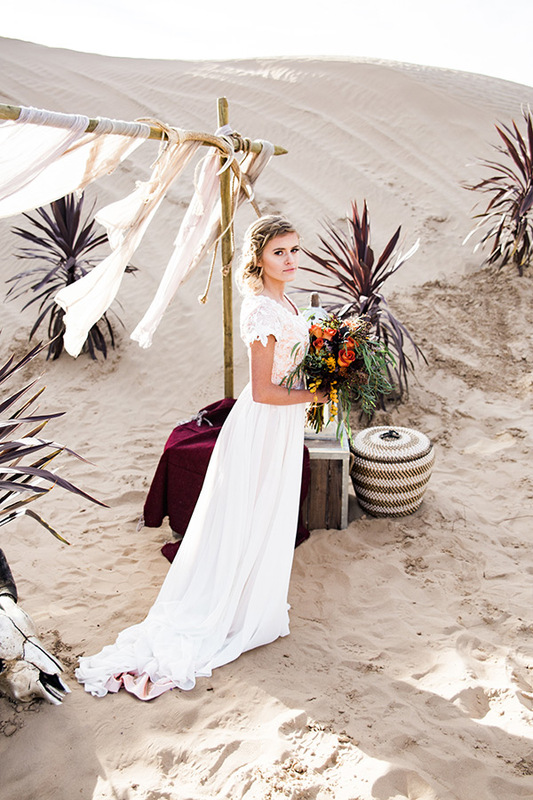 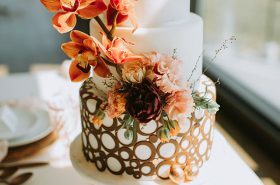 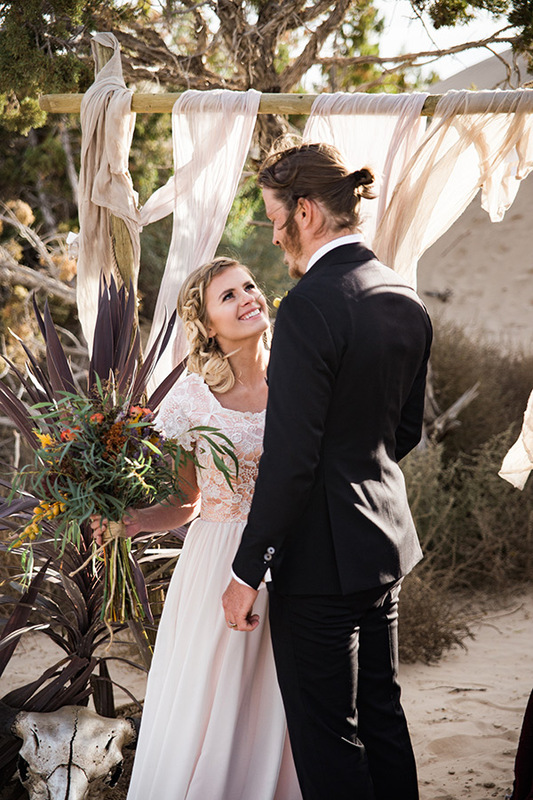 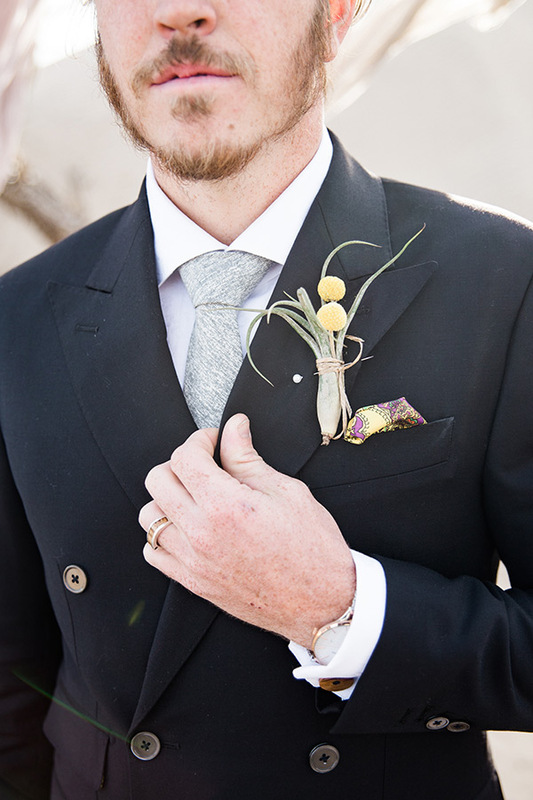 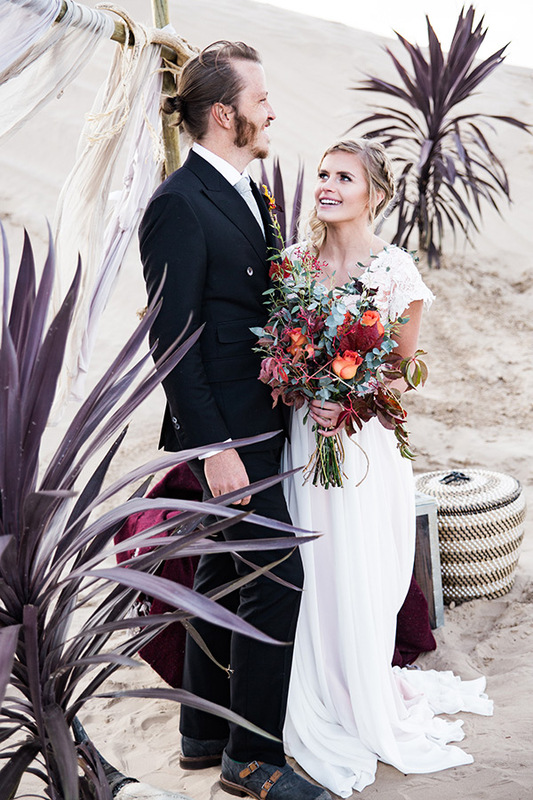 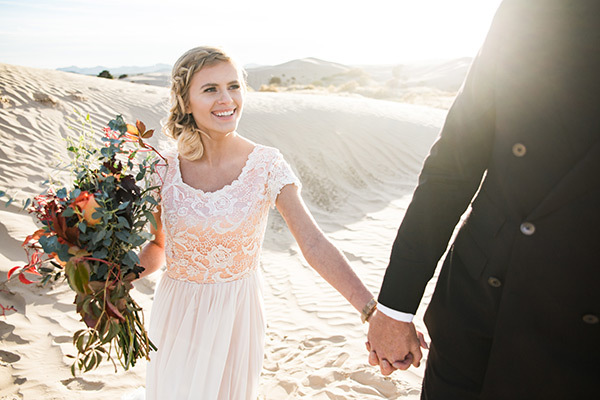 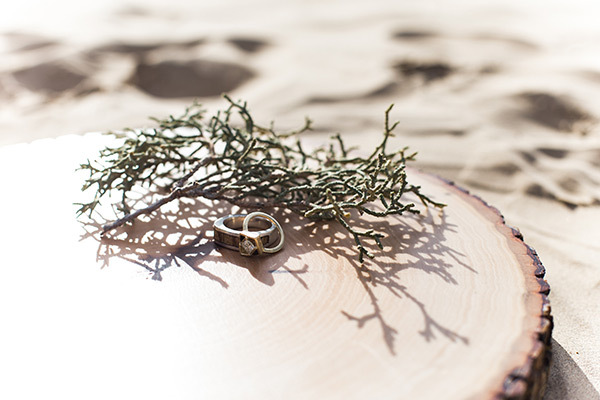 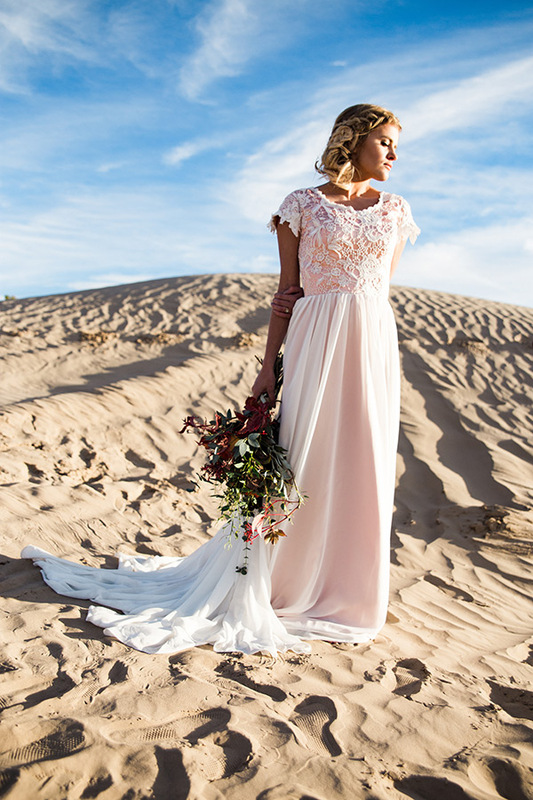 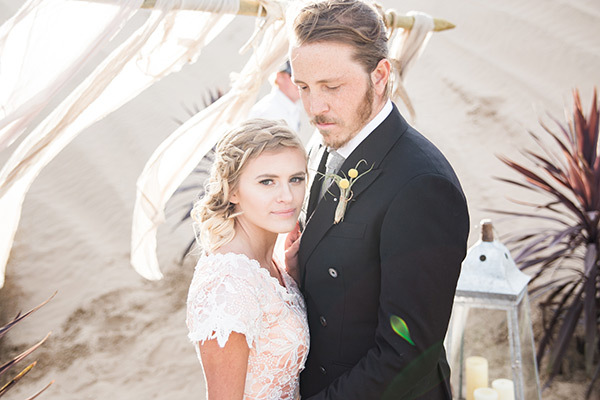 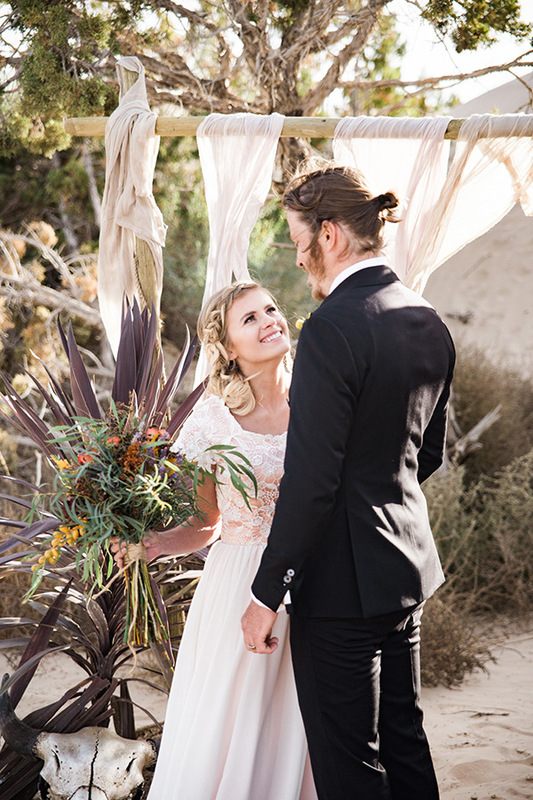 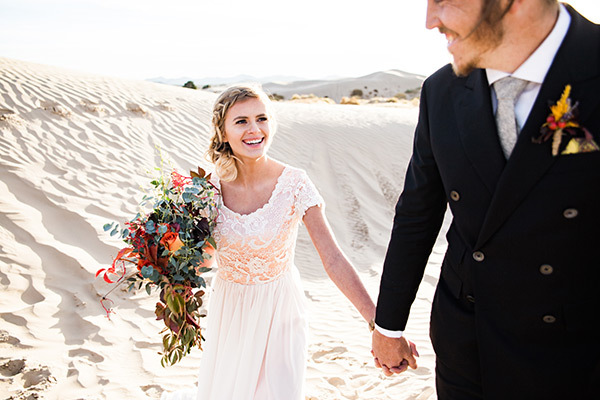 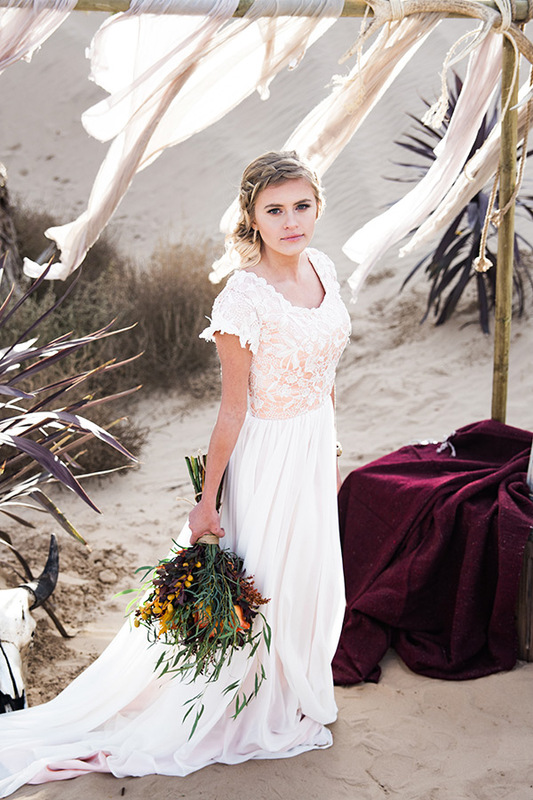 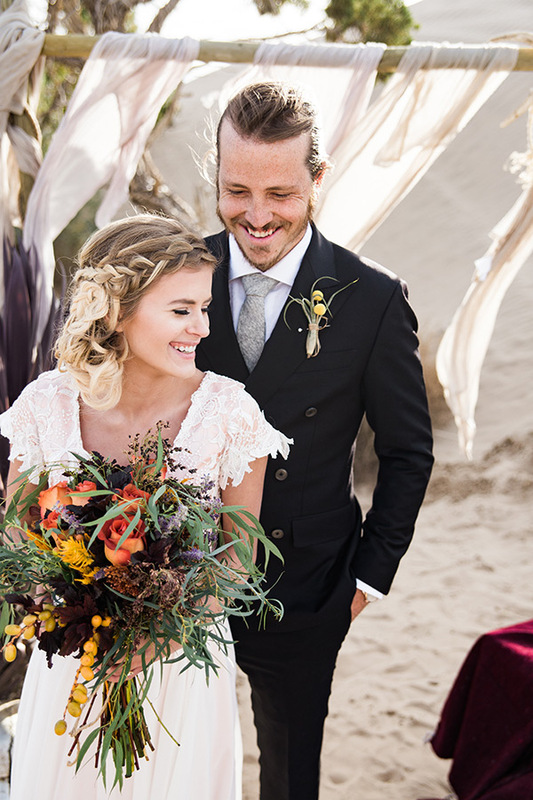 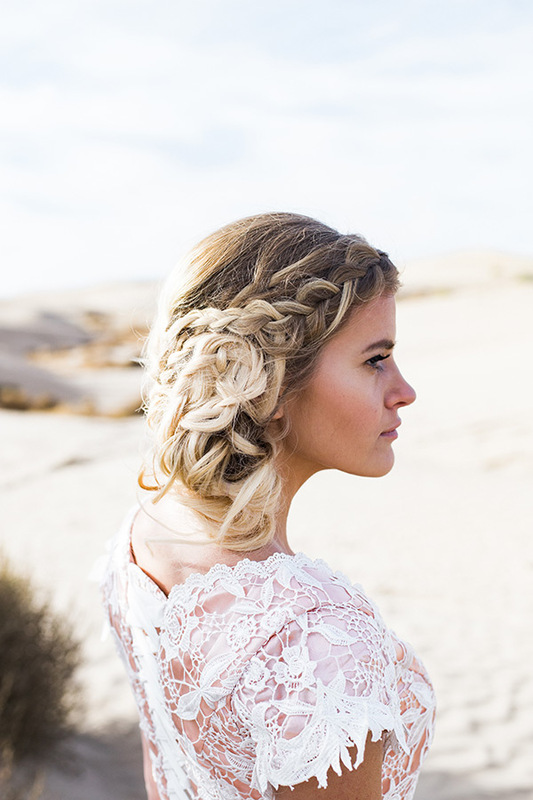 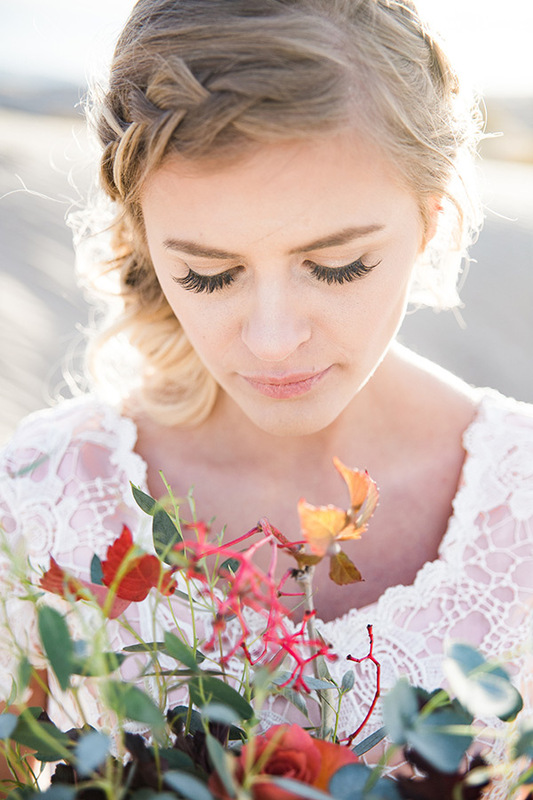 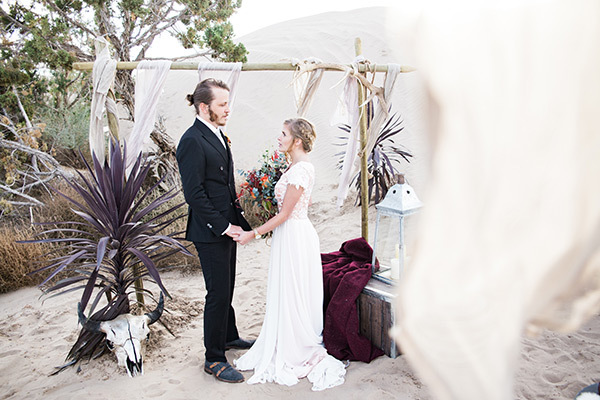 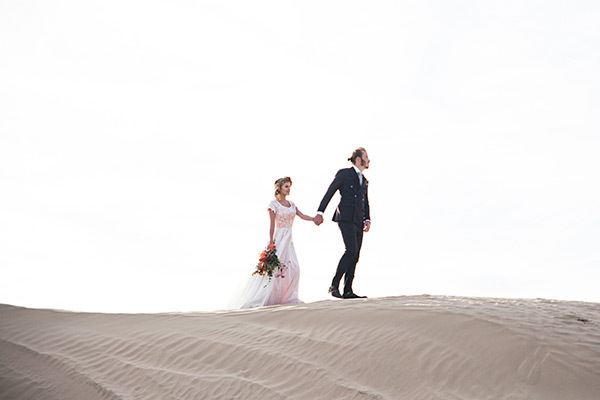 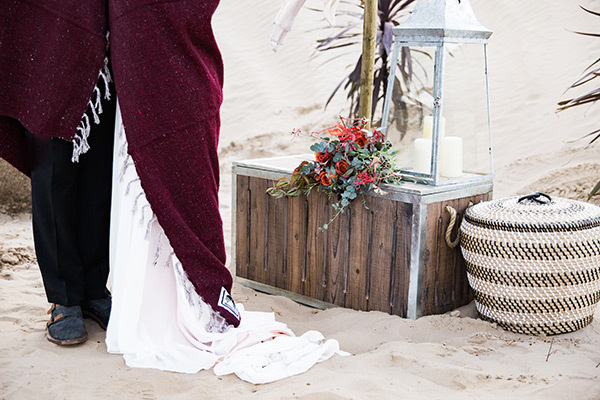 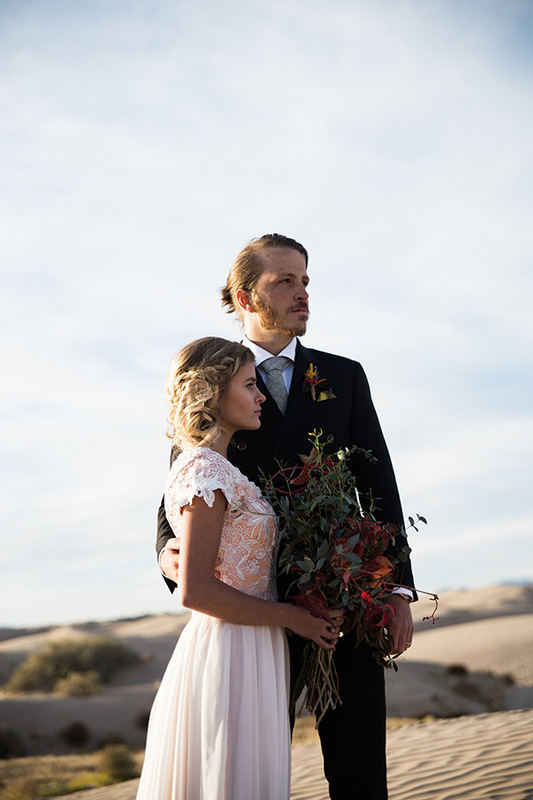 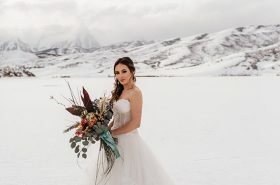 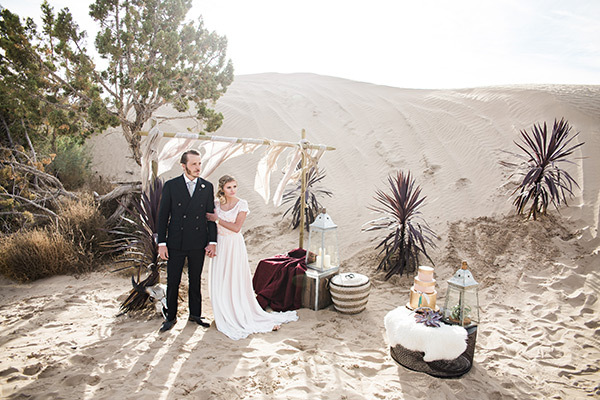 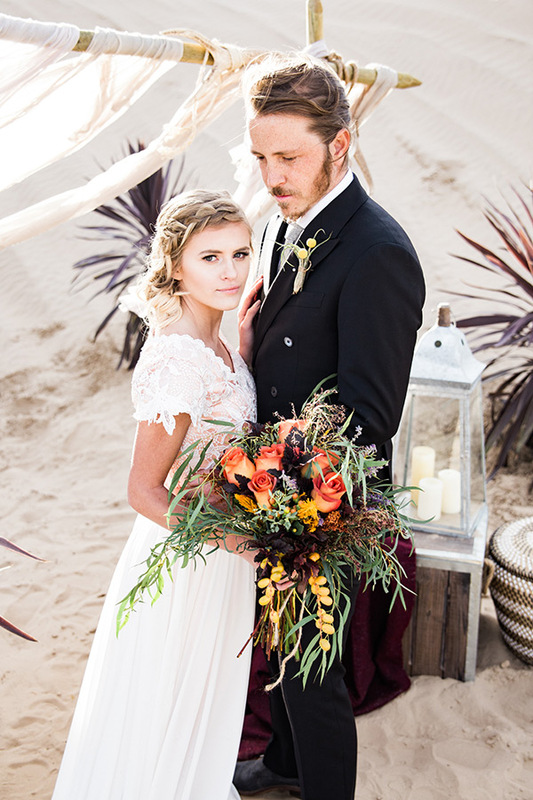 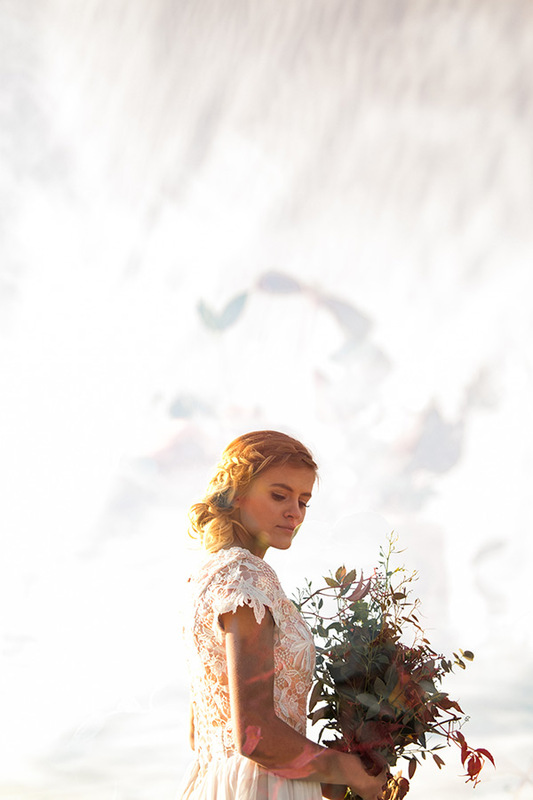 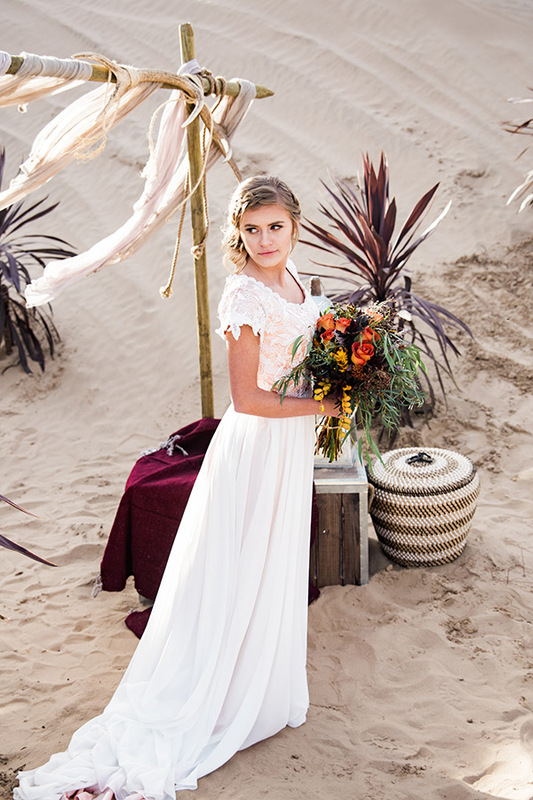 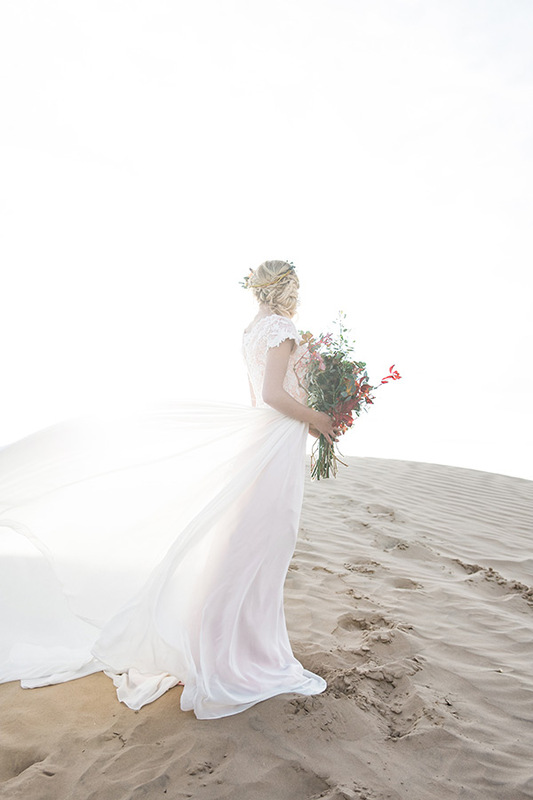 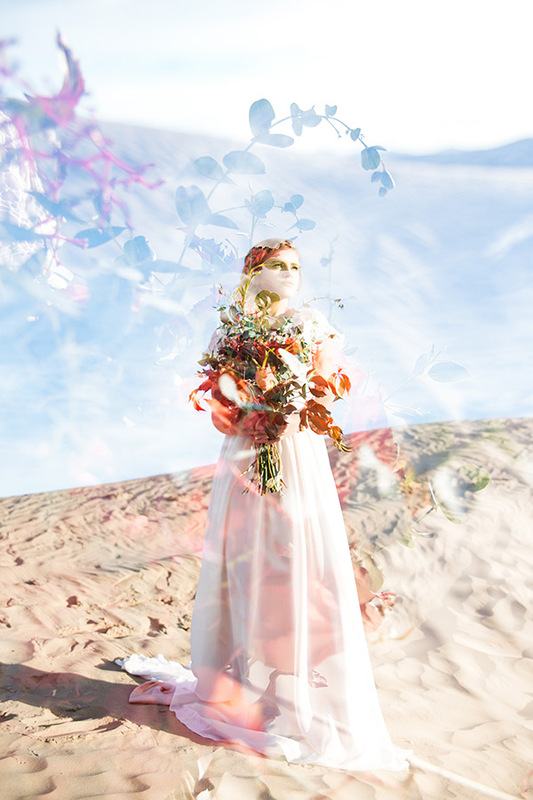 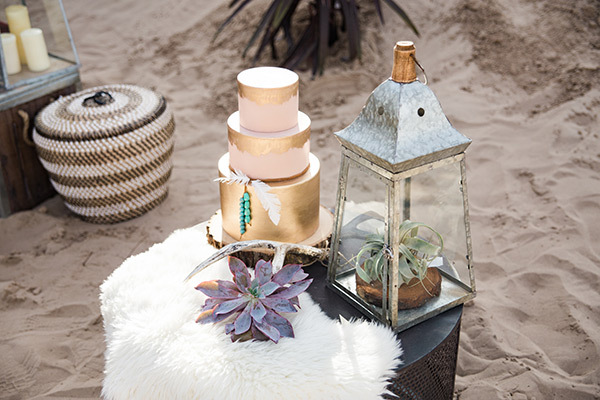 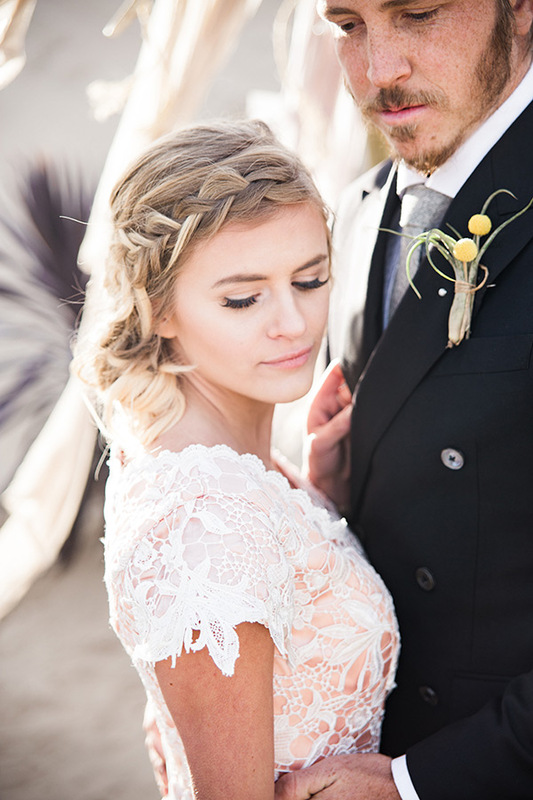 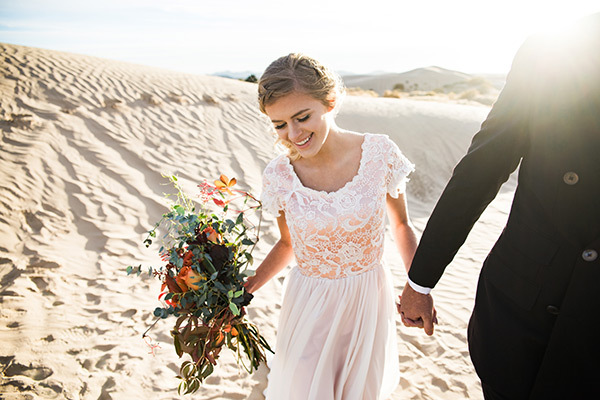 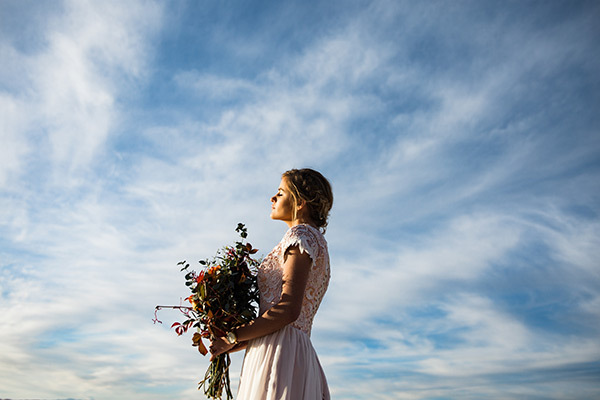 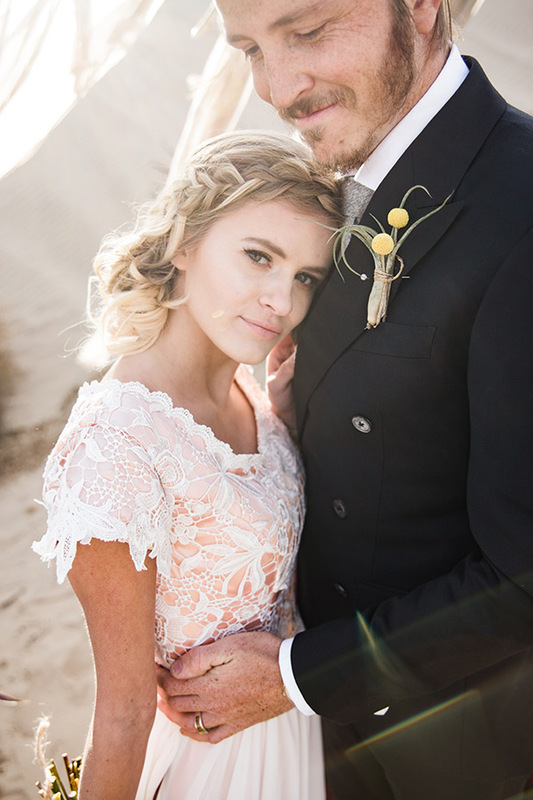 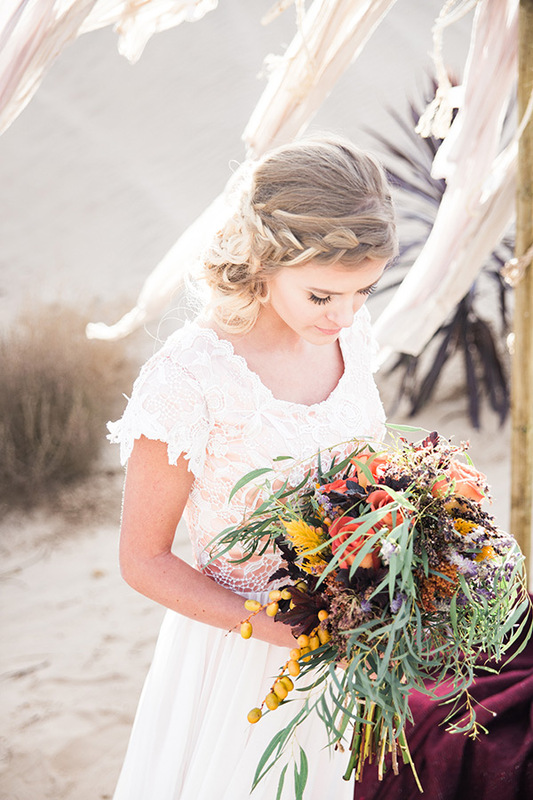 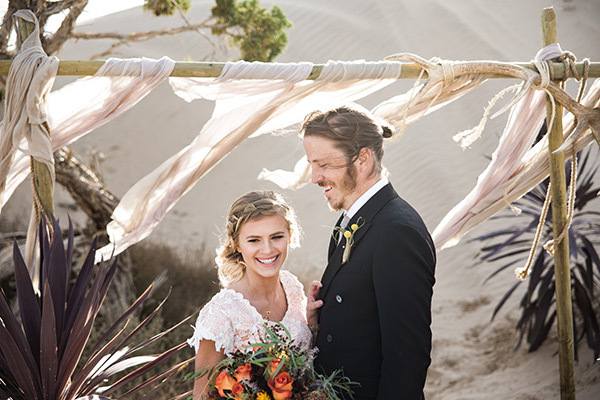 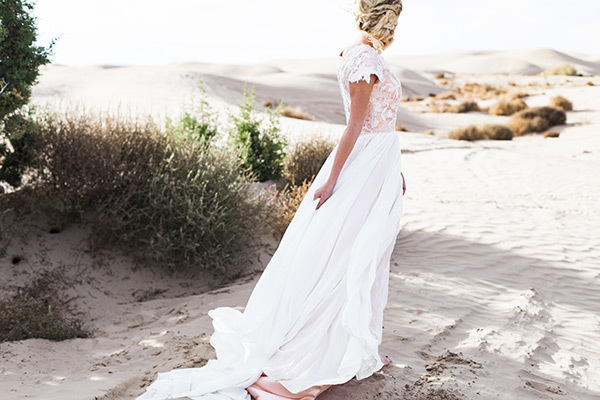 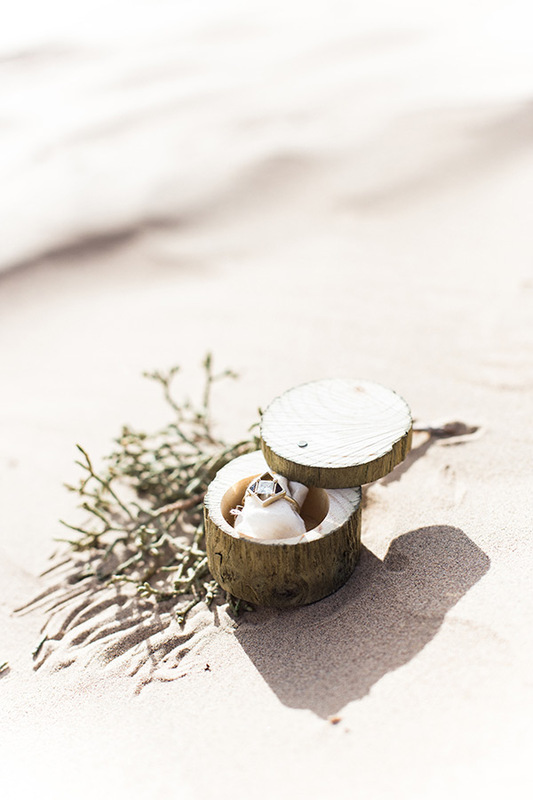 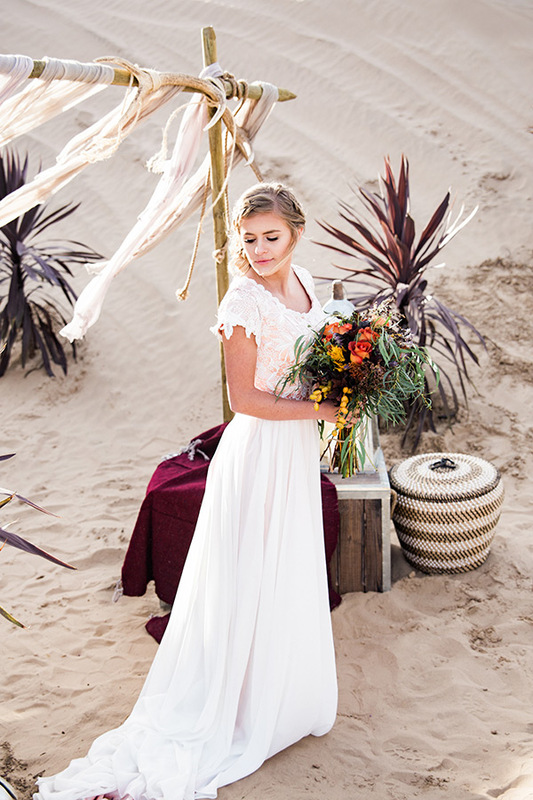 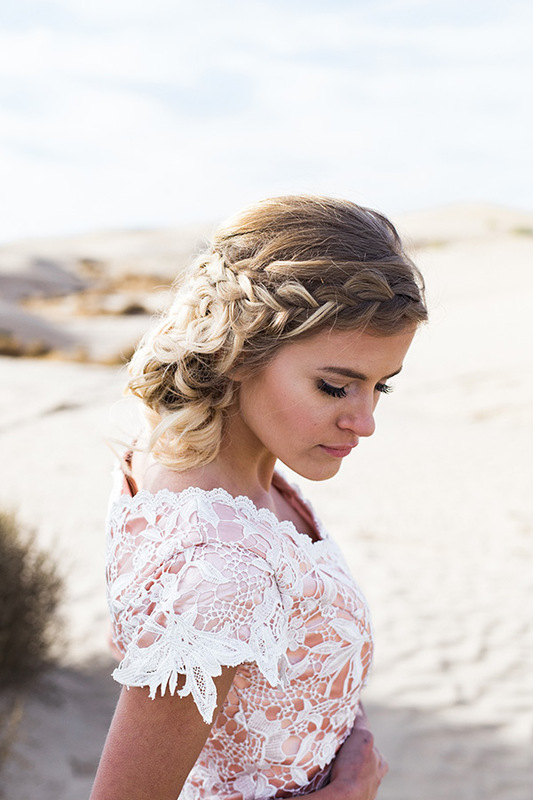 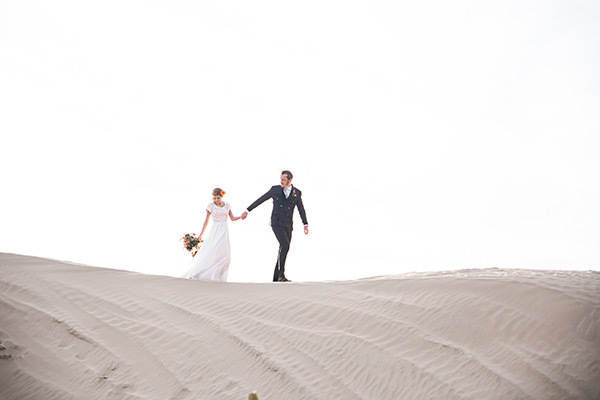 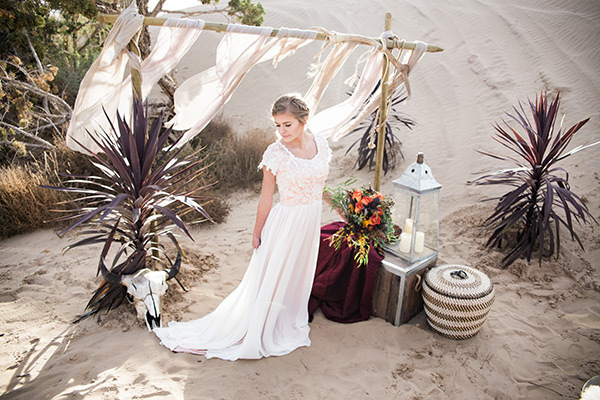 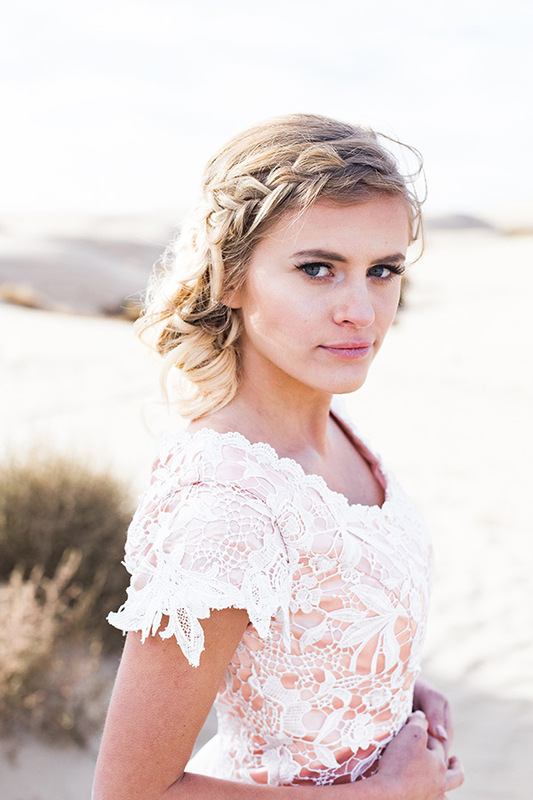 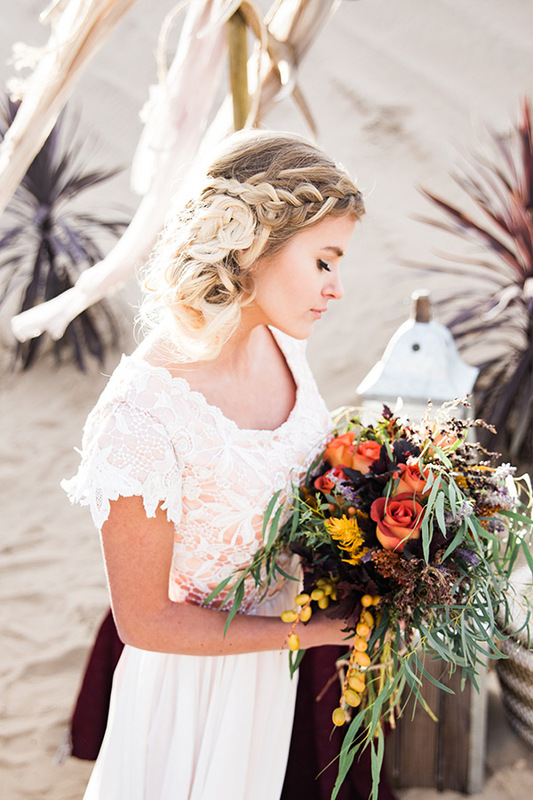 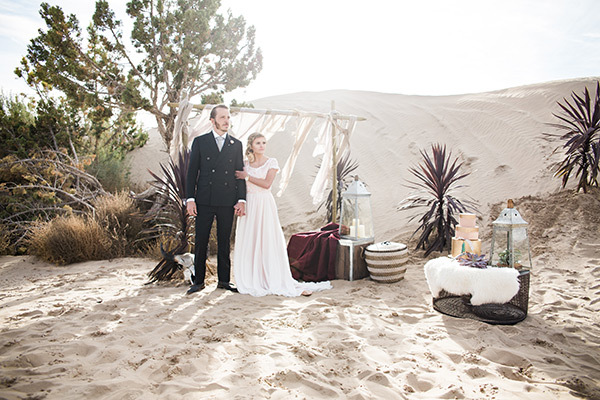 Every detail — from the flowing gown to the impeccable accessories to the fabulous backdrop to the bombshell bouquet — is basked in sweet sand and stunning light. 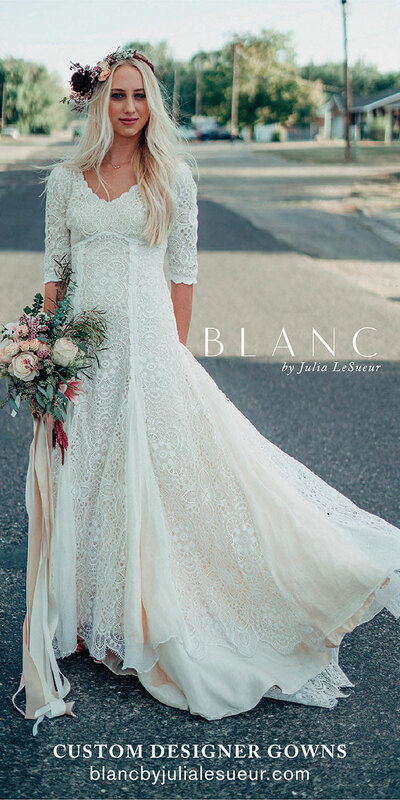 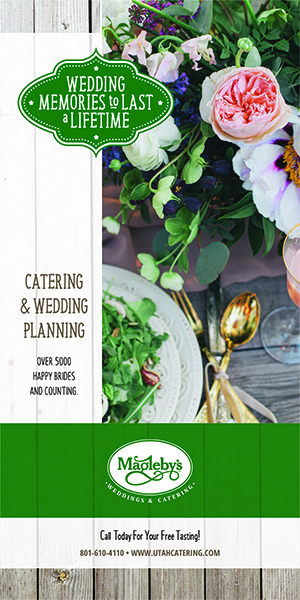 We cannot get enough of it, friends. 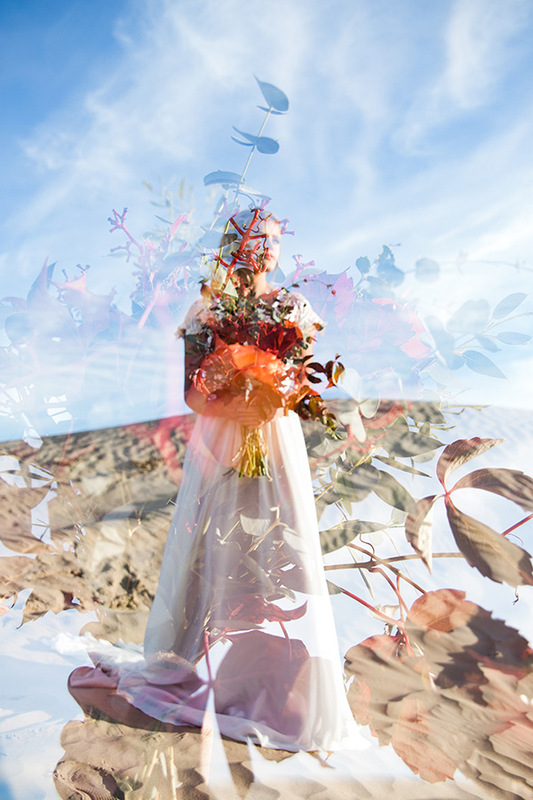 But be careful as you scroll through this dream land and watch the film of it below — you may never want to wake up.